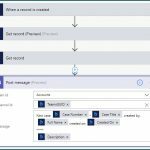 Prior to Microsoft’s acquisition of Adxstudio Portals in September, 2015, there were tough decisions when it came to choosing a portal solution for Microsoft Dynamics CRM. 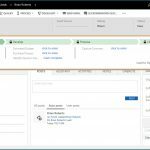 Since the acquisition, the Dynamics 365 Portal solution has become the de facto choice as the license is included with the Enterprise edition of Dynamics 365. The deployment is wizard-driven, the back-end is hosted by Microsoft, and there are several types of portals to choose from. SyncraTec has deployed and configured a self-hosted portal from Adxstudio Portals prior to the acquisition. Since then, there have been many changes to the portal itself, and the way the portal is licensed by Microsoft. 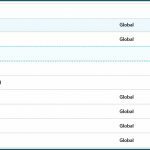 Our deployment experience was very similar to today’s with the main difference being that the portal app was hosted on our client’s Azure resources. One of the challenges we were presented with by our client was to find a way to enable federated authentication for an existing base of Philadelphia Area construction contractors to be able to log-in to the new portal application with the same usernames and passwords they already had for a separate remittance system. Further challenges were to streamline the process of submitting forms online that had previously been hand-written and faxed-in for the better part of a century. In the end, 5,000 contractors now have the capability to submit construction project information on the portal. An alternative to the Microsoft Dynamics 365 Portal is the purpose-built portal. In this scenario, the user interface is optimized for a few forms, with a presentation to the end-user that enables a streamlined experience for quicker data entry. In this scenario the modus operandi had again been manually processing hundreds of hand-written forms faxed-in on a daily basis. The health-care facilitator then re-keyed the forms into Microsoft Dynamics CRM, where the cases were processed to seek pre-authorization for patient medications and therapeutic treatments.